Friday saw some big volume trading as options expiration kicked in. However, there was little change in price action across indices. 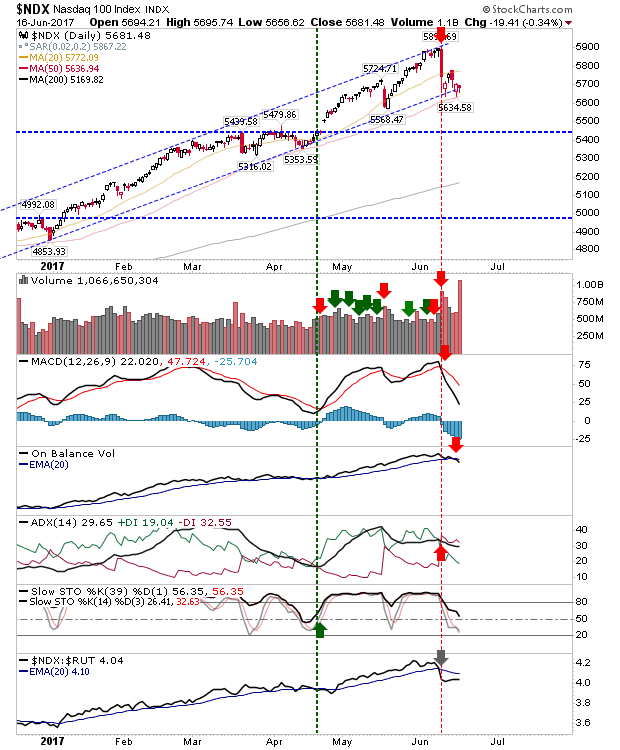 The Nasdaq and Nasdaq 100 are both in play for Monday, each offering a chance for longs to enter at a combination of channel support and 50-day MA. 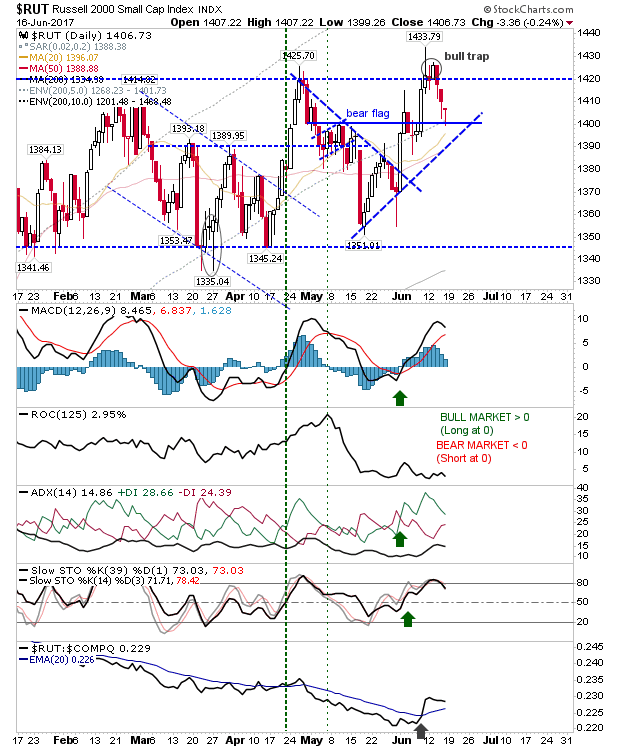 Technicals are weak, and a move for stochastics [39,1] below 50 would shift technicals net bearish. 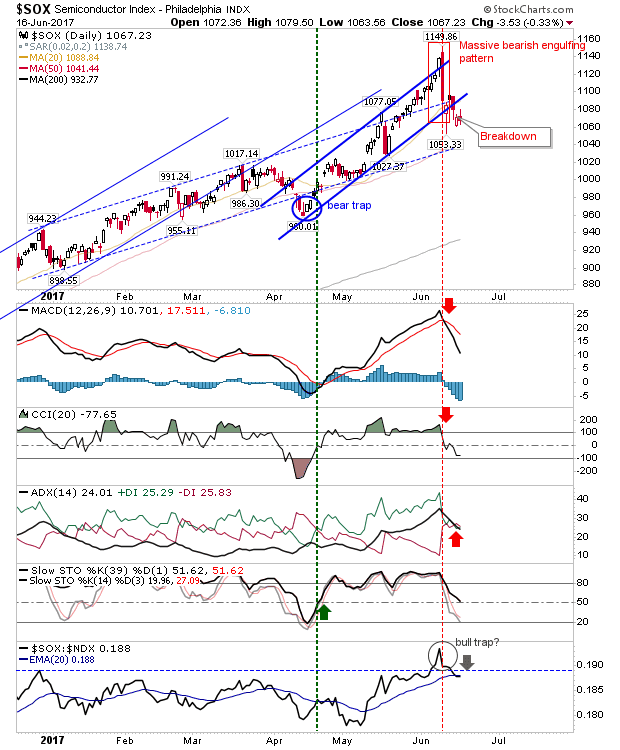 The Russell 2000 spent the second day toying with bear flag support. 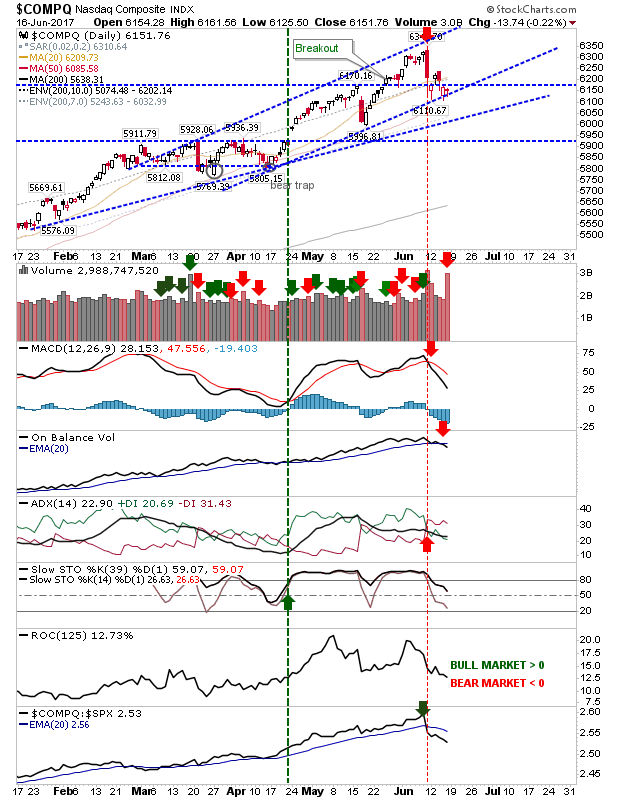 Both 20-day and 50-day MA are rising fast to meet price action which will provide bulls further evidence for underlying demand and reason to protect 1,400. Large Caps were little changed. 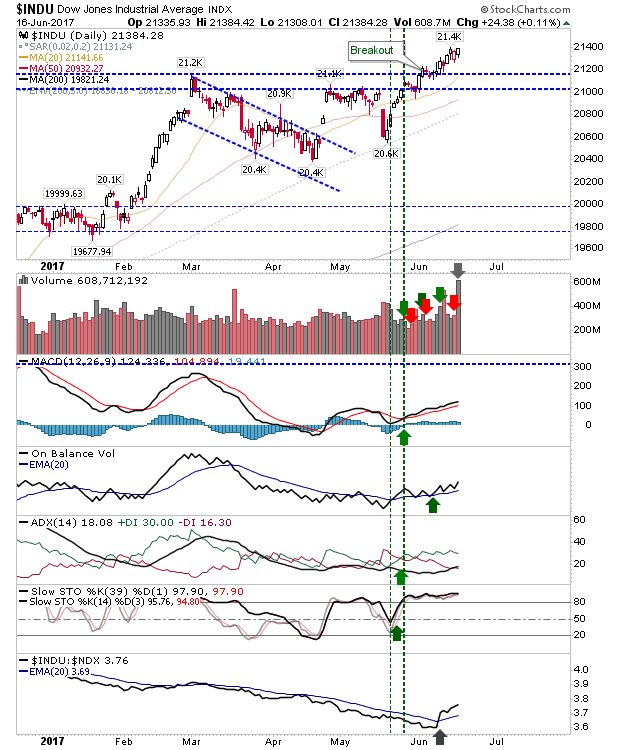 The S&P finished with a bullish hammer inside its mini-trading range, while the Dow Jones continued to add to its gains in small steps. The chief struggling index is the Semiconductor Index. The breadown is still in play, but the question will be what happens when the next rally hits and attempts to challenge 1,140. For tomorrow, bulls can look to the Dow, Nasdaq and Nasdaq 100 for opportunities. Bears can keep track at the Semiconductor Index.